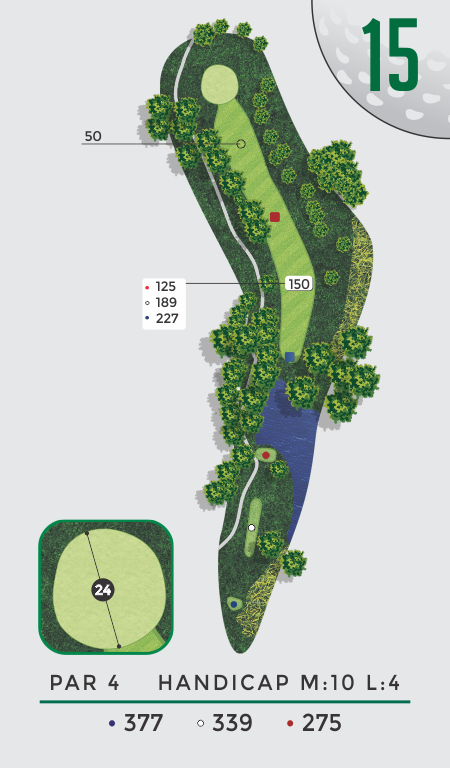 This short dogleg left par 4 requires a high trajectory tee shot to clear the trees guarding the left side of the hole. A right to left tee ball would be the perfect shot. Avoid going over the green here. If you are driving the ball well, this is a definite birdie opportunity. © Golf Columbia, L.A. Nickell Golf Course, & Lake of the Woods Golf Course | All Rights Reserved | Website by Lift Division.